Is it strange that I absolutely love the good ole staycation? Otherwise known as didn’t choose a place to drive/fly to/ didnt want to pack clothes for more than five days in a carry on/ needed to detox from deep dish pizza and gelato. Well, all of those might be true except the last one. 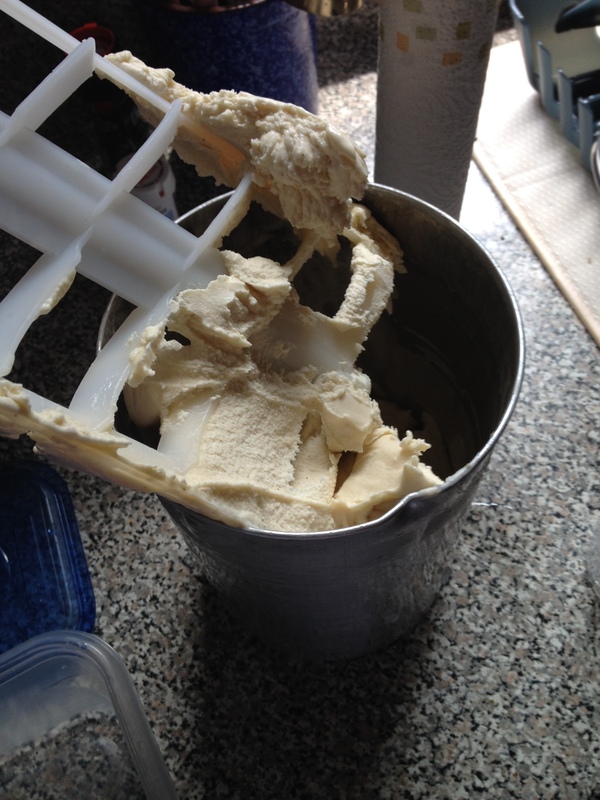 I don’t think making homemade ice cream is detox from gelato. I was in Chicago exploring for the first time as an adult and had an absolute blast! Let me tell you the wonderful things I ate: Asian tacos, deep-dish pizza at Lou Malnati’s, BLUEBERRY FRENCH TOAST GELATO from Black Dog Gelato, really rich chocolate mousse, an entire SLAB of pork belly on a girl date with my biffle Cessie, and a delicious drink with Pisco, St. Germain, basil, lime and some soda-y thing. It was a wonderful trip! 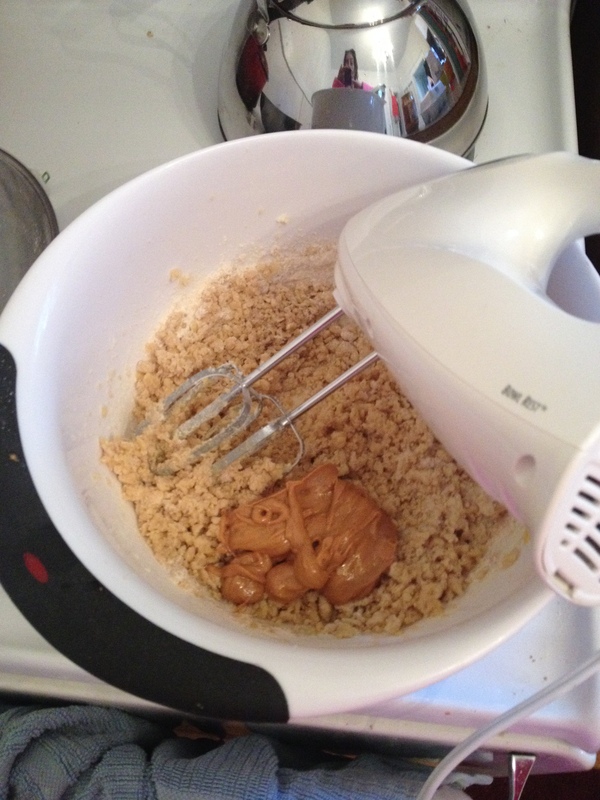 Immediately after returning home, I sniffed out a good ice cream recipe: toasted oatmeal!!!! 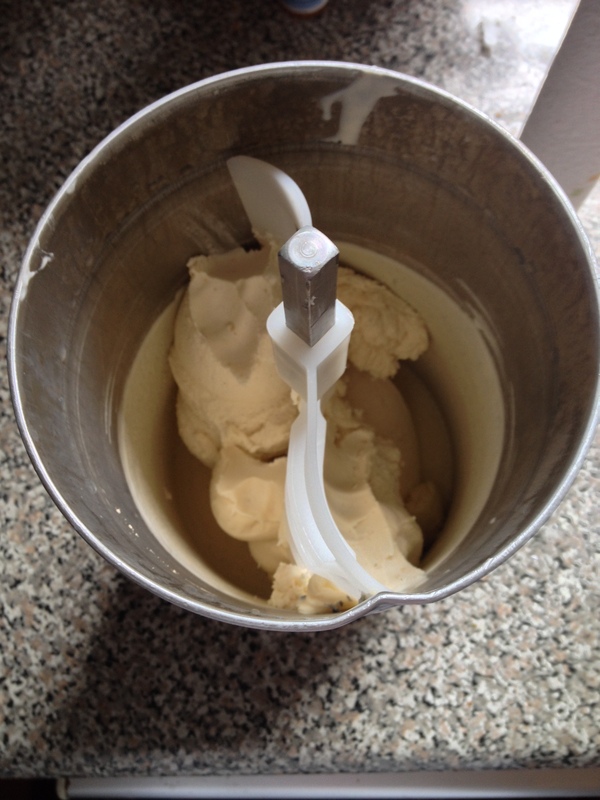 Ahhh this was my second ice cream adventure this summer and my first attempt without a mixer. I’ve made a few fruit ice creams for my dad, but when it’s just for me, I want chocolatey/coffee/peanut buttery/banana/caramely flavors. And if you can’t tell, I like breakfast!! My roommate and I were so curious as to how toasted oatmeal could even have that potent of a flavor. Like, would this turn out to be just a cream base with a few traces of grains floating around?? The flavor is definitely breakfast-y, but I’d like to say it’s sort of like a scoop of butter pecan. The touch of cinnamon and nutmeg is subtle, and I think the toasting of the oatmeal really takes this ice cream to the next level. So I based this recipe almost exactly off of this one from thefauxmartha. I say almost exactly because I tried to but was so excited, I accidentally switched the proportions for heavy cream and half and half. 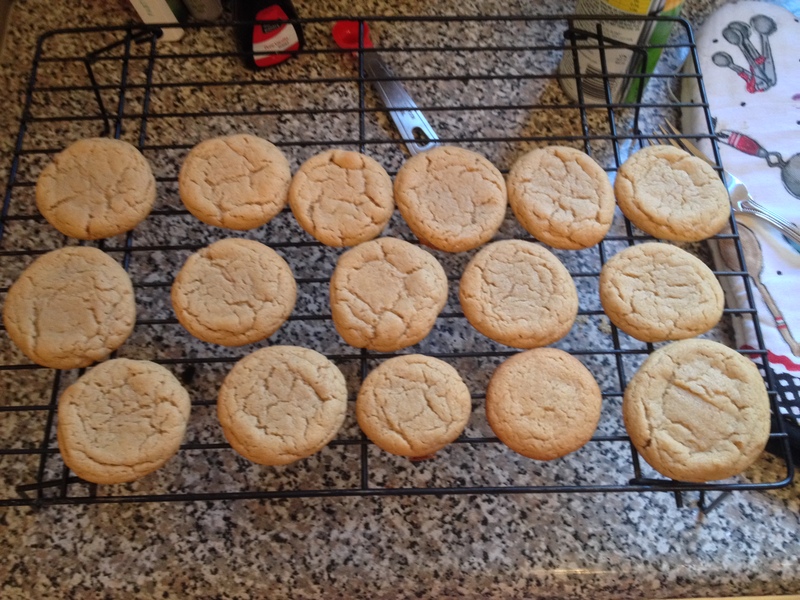 The cookie recipe was very simple and I tried making the ice cream sandwiches with both a chewy version of this cookie and a crunch version. 1. 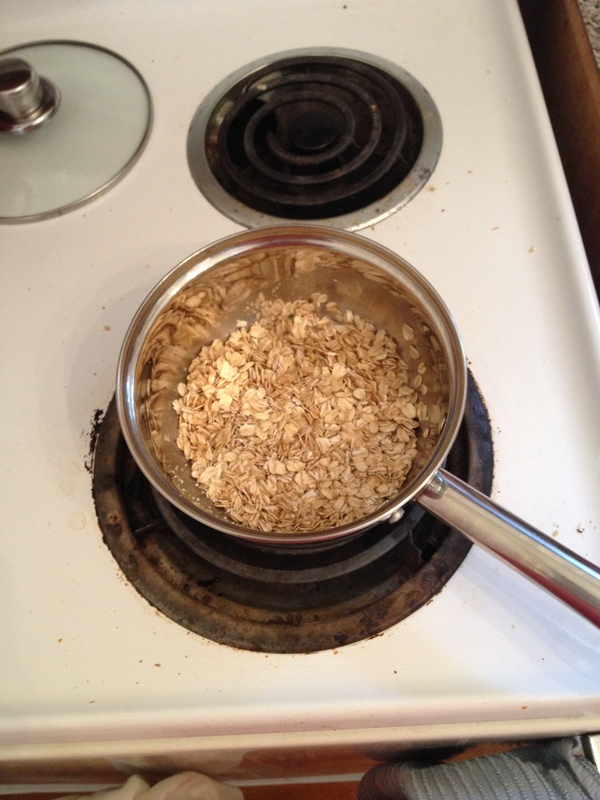 Prepare oatmeal: Melt the butter in a skillet or small saucepan, add oats and toast until it sort of smells like browned butter…aka a bit of a nutty flavor. The recipe says about 4 minutes, took more like 5-6 for me. After toasted, pour out the oats. Sprinkle a pinch of salt, a LARGE dash of cinnamon and a small pinch of nutmeg if you’d like. Add liquid and bring to a simmer. Add in oats and stir quickly to make the mixture evenly mixed. 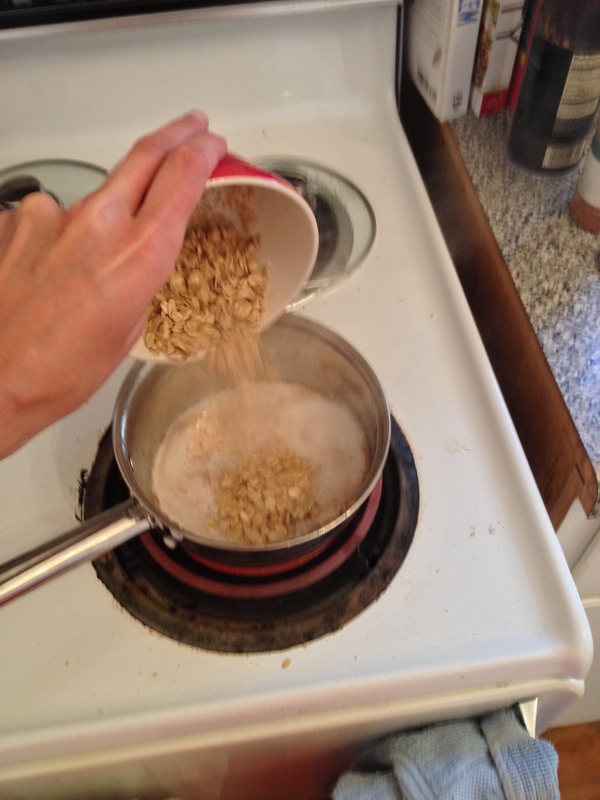 Remove from the heat and set aside for about 8 minutes to let the oats absorb. 2. Make ice cream: Ok, guys. Man your stations, here. You’ve really got to move gracefully through the kitchen during this time. Even when you’re trying to improve your roommate’s parents with your ladylikeness. While hot dairy products are flying all over the kitchen. 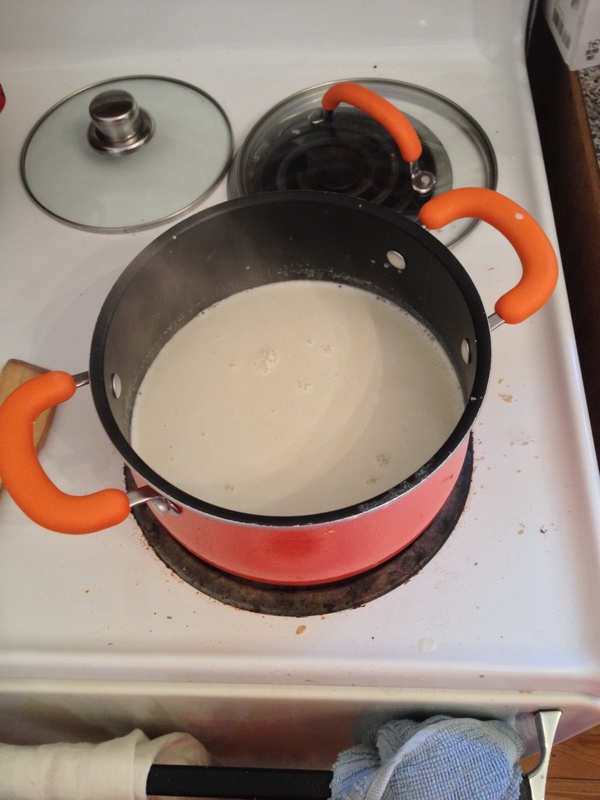 BACK TO BUSINESS sorry….Add your milk, half and half, and cream to a heavy saucepan with the sugar and salt and stir to dissolve sugar. While this is heating, get your egg yolks ready. Whisk the egg yolks until pale yellow and frothy in a small bowl. 3. Once the cream mixture is simmering (really a pleasant thing, right? hot milk? ), slowly temper your eggs. 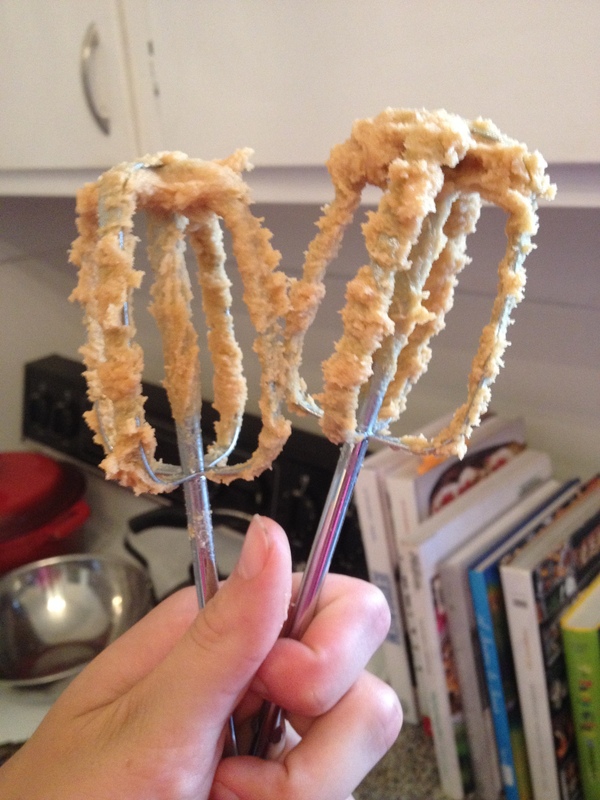 Do this by ladling about a half cup of the hot mixture slowly into the eggs, whisking quickly to mix the two. Once you’ve quickly whisked together the hot milk into the eggs, add the egg milk mixture into the pot and whisk constantly to temper. The recipe said to just whisk until it thickens, but I couldn’t really tell it was thickened, so I’m going to tell you to whisk for about 6 minutes at a low simmer. Then remove from heat. 5. Get your strainer ready over a big bowl. I used a pasta colander. Use a fine mesh sieve if you have one. After the mixture has finished steeping, strain the mixture, using a spatula to press the mixture through the sieve. 6. Cool the ice cream base in the refrigerator until cool. Then prepare in your ice cream maker according to its instructions. 7. Make your cookies!!!! Here’s how we made the sandwiches: Start scraping your ice cream with a spoon into a small ball – then place on the bottom of one cookie. Use the bottom of another cookie to smush the cookie together. Scream at the top of your lungs before eating this because you are so excited. I dunno it just sounds fun. Tell me, are you a crunchy or chewy cookie person?!?! Any recommendations on other ice cream sandwich combos? ?